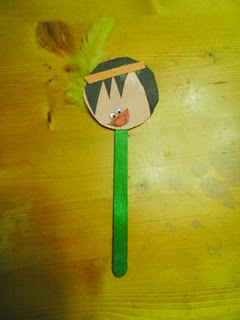 These Turkey and Native American Indian Stick Puppets are so simple and fun to make they are perfect for preschoolers. We always have construction paper and popsicle sticks. So, for Thanksgiving, I grabbed a bag of craft feathers and we started creating. The plan was to make Wampanoag Indians to celebrate the first Thanksgiving in Plymouth. The feathers begged to become a turkey. Afterward, we pretended they were puppets and made a holiday play. We made snowmen and reindeer too. Run to Joann's and buy a bag of fall-colored feathers. 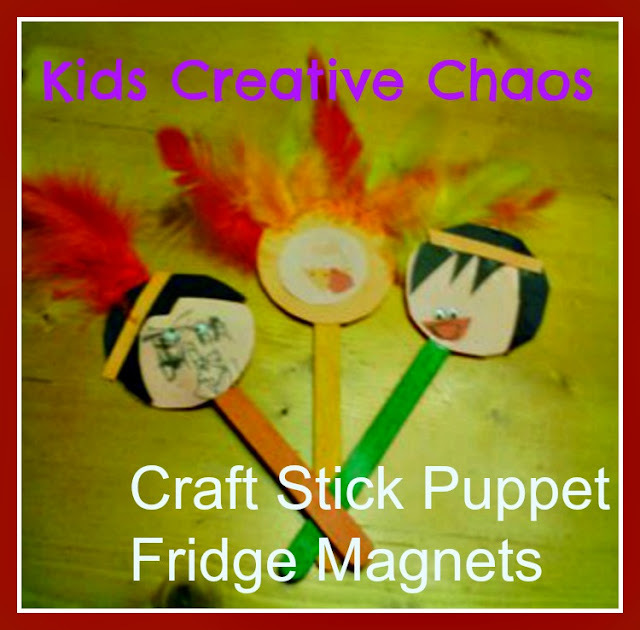 Use colored craft sticks or recycle Popsicle sticks. Tacky glue works great. Construction paper, mini-googly eyes, and the smallest pom poms ever! Great for Wampanoag Indian Lessons and Curriculum. Trace a small kid's cup for the head and turkey's body. Then glue on extras as appropriate. It's so simple and lends itself to creativity. 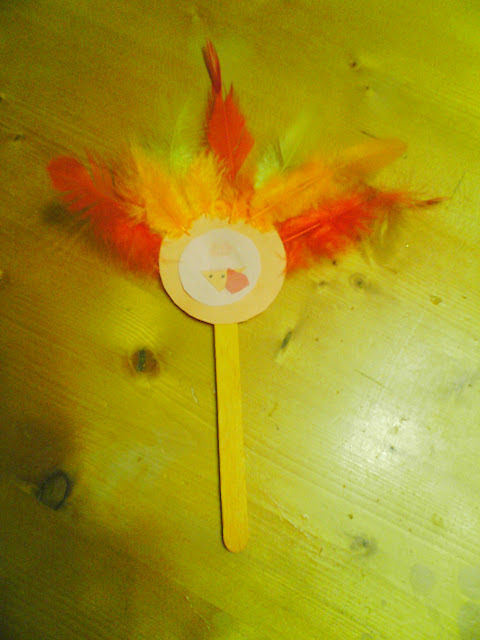 Easy Popsicle Stick Turkey Craft for preschoolers. I use them for a thanksgiving puppet show with a shoe-box backdrop. Little hands love to move them around the fridge as magnets.